Looking for a new and exciting vacation to take? Well there are many cruises out there that take the road less traveled. Many of the world’s capitals lay along the banks of rivers or on the coastline. These waterways and port cities provide a myriad of resources. And what better way to visit these historic places than a cruise? You can take a nice week long trip where you float on a river boat stopping at all the wonderful and interesting cities along the way. Or hop from port to port along one of Europe’s many seas. Choose a destination, view the culture up close, shop at famous stores, or partake in some yummy food. There are many sea and river cruises that offer a wide variety of stuff to do. You can: relax, learn about the history, interact with the culture, take an adventure, go hiking, or be surrounded by nature. Think of all the great stories you can tell to your family and friends. 5) Cruise the Mediterranean This is one cruise you have to have on your bucket list. A Mediterranean Cruise is ideal because you can sail practically any day out of the year. Of course summer is a bit hotter and winter colder. To cruise the Mediterranean is to delve into the history of civilizations by visiting ancient sites. But there are many more benefits such as: magnificent scenery, exciting cities, unique atmosphere, and all kinds of great encounters. 4) Baltic Cruise Recently as northern Europe has become more open to travelers Baltic cruises have enjoyed a new revival. Most of the beautiful and oldest cities in Northern Europe reside along one of its many waterways. It can get quite cold so the recommended months of travel are between May and September. Cruises in Northern Europe expose you to varied and spectacular scenery ranging from the breathtaking nature of Stockholm to the imperial palaces of St. Petersburg. Travel through the medieval city of Tallinn, the canals of Amsterdam, and see the capital city of Copenhagen which dates back to the 11th Century. 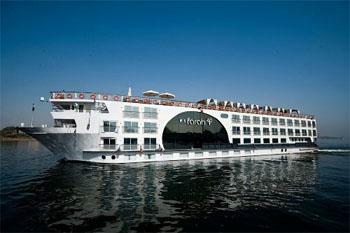 3) Cruise the Nile River Ah did you know that you can Cruise down the Nile River. Long considered the cradle of civilization, the Nile River has an enormous amount history along its shores. 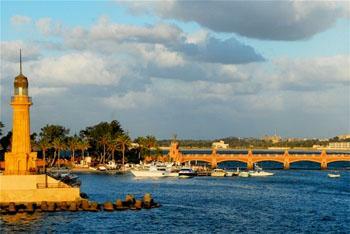 Sailing the Nile is possible all year round as the temperatures are mild. But if you absolutely hate the heat then you should travel there in the spring or in the fall seasons. With a cruise down the Nile you can visit the most beautiful sites in Egypt: Alexandria, Cairo, Luxor, or Aswan. Yes the Pyramids, Sphinx, and all the other goodies are available as you cruise down the Nile River. 2) Cruise South America You can cruise in South America at any time during the year. However, the ideal time to discover Latin America is between December and April, a period when temperatures are more pleasant because it is the austral summer. Lush landscapes and colorful sights dot your route. Find treasures of history that will be waiting for you at a wide variety of destinations. Head to Brazil over Carnival if you want to experience a rocking party. 1) Cruise Asia Mysterious and surprising, Asia offers a range of contrast from regions with that have been populated by humans for thousands of years to urban megacities that have popped up along the Yangtze River in China. The Yangtze is the longest river in Asia and you can see Shanghai to Beijing in one trip. Or visit the interior of Vietnam with a Mekong River cruise. Just like the South American cruise, a trip down the Mekong is filled with beautiful green landscapes unlike anything you have ever laid eyes on. It’s these types of destinations that make a cruise in Asia a guaranteed exotic cruise. No matter what month you want to travel in; there is an exotic cruise that will take you half way around the world. See things, taste food, and experience life like you have never known it. With a cruise most everything is included. The land excursions are planned, the meals are taken care of everyday, and most importantly a luxurious cruise ship will lead you on your journey. A cruise is a cool vacation to take and you can find some great deals online. Check out some more exotic river cruises. Value Cruises is a southern California based cruise operator who thinks you should plan a cruise trip!